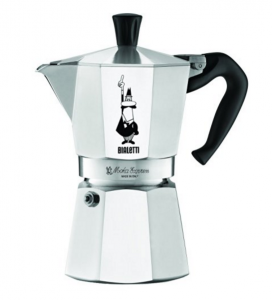 You didn’t know how much you loved espresso until you bought this. Forget machines that run hundreds of dollars, this puts out an amazing cup of Italian coffee and takes up zero counter top real estate. The price and size make it great because it gives you options without having to force people to drink espresso cause you paid top dollar for a machine that’s taking up more room than the microwave. This will also allow you to get a different kind of booze in your coffee. Sambuca for espresso, and whiskey for American coffee. Good to go.